White sand beach? Crystal clear waters? Great nightlife? There are at least a dozen different things one can do in Puerto Galera, or Gale, as the locals call their beautiful paradise of a home. From pitching tents, lighting bonfires, playing beach volleyball & Frisbees, watching the sunset, gazing at the stars, climbing cliffs, driving bikes around the area, the list could go on when discovering Oriental Mindoro’s Gale. However, the water is still the main attraction of Gale, Crystal clear water shimmering under the sun. 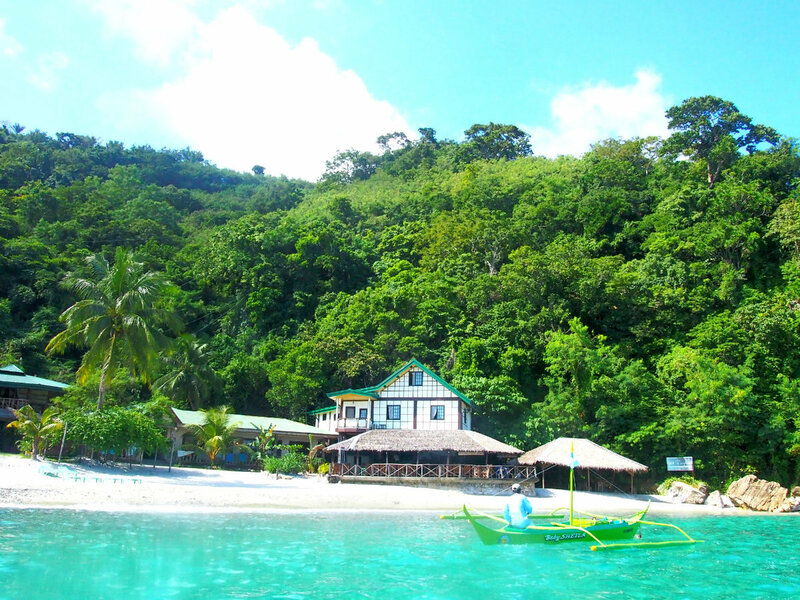 Puerto Galera’s landscape is very ideal for swimming, sailing, surfing, snorkeling, and scuba diving. In fact, there is no need to ride a boat to a diving site. Within a kilometer from the coast, schools of Moorish idols are already thriving in the shallow reefs of Gale. Where is Puerto Galera situated? Gale is located on the northern shore of the island of Mindoro, 130km south of Manila, and 14 nautical miles away from Batangas Pier. You can reach Gale by land transport to Batangas pier and then by sea ferry to the paradise. From Metro Manila to Batangas pier usually takes two to three hours depending on the traffic flow. The fastest route is by Skyway, South Luzon Expressway, then Calabarzon highway all the way to Batangas pier. Lastly, the ferry boat ride takes one hour to one and a half. How much does public transportation cost? Gale is close in proximity to Manila, making it the cheap alternative of Boracay. A four-hour bus ride and ferry travel worth less than 500php (one-way), one way to get to White Beach is by taking a bus with a signage of “Batangas Pier via Calabarzon” near the LRT Gil Puyat station in Pasay City. The fare for an aircon bus is less than 200php and it will take you to Batangas Pier, where you should alight and would find Puerto Galera bound ferries. Pick a ferry that could take you directly to White Beach with a 250pho fare. What time does the ferry leave for Puerto Galera? The first ferry trip to Puerto Galera departs at around 7:30 AM. Thereafter, a ferry leaves every hour until 5:00 PM which is normally the last trip to Puerto Galera. Where should I stay, Sabang or White Beach? Sabang and White Beach are the flagships of Puerto Galera to par with nearby island’s beaches. Although there is this understatement that tourists prefer Sabang beach while locals go to White Beach. Perhaps the reason behind is that Sabang is swarmed by a number of high-class resorts, offering best dive education in the country, and dive sites are literally a stone’s throw away. Nightlife in Sabang is also different from White’s, somehow it is akin to the old Ermita, the former red light district of Metro Manila. One comparison is that Sabang Beach is for the young and adventurous, meanwhile, White Beach is for families, for the carefree individuals who enjoy casual activities under the sun. White Beach (Brgy San Isidro) is the most popular of Puerto Galera’s 32 beaches, especially among Filipino tourists. Come summer, from March to May. The beaches are filled with people, relaxing, walking to and fro, sunbathing, playing volleyball, riding jet skis and banana boats. At dawn, people sit at the beach to witness one of the best sunsets in the country. At night, more people come out to enjoy meals at beachfront restaurants. There are several open-air bars with drag queen dancers and serving Puerto Galera’s trademark concoction, “Mindoro Sling”. There are also many tattoo shops and souvenir shops along White Beach. How do I find places to stay at in Puerto Galera? 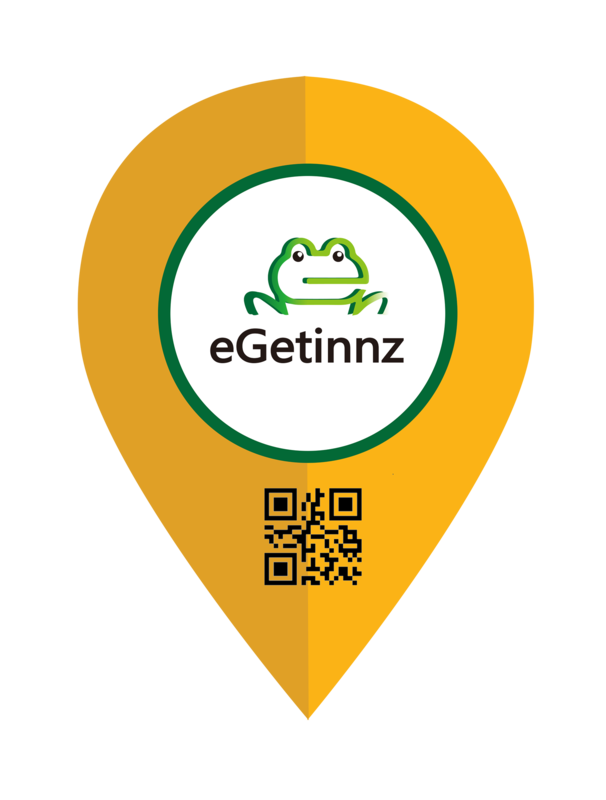 Perhaps one of the reservations of many travel bugs is about accommodations, but rest assured eGetinnz has everyone’s back, providing flexible options for travelers. 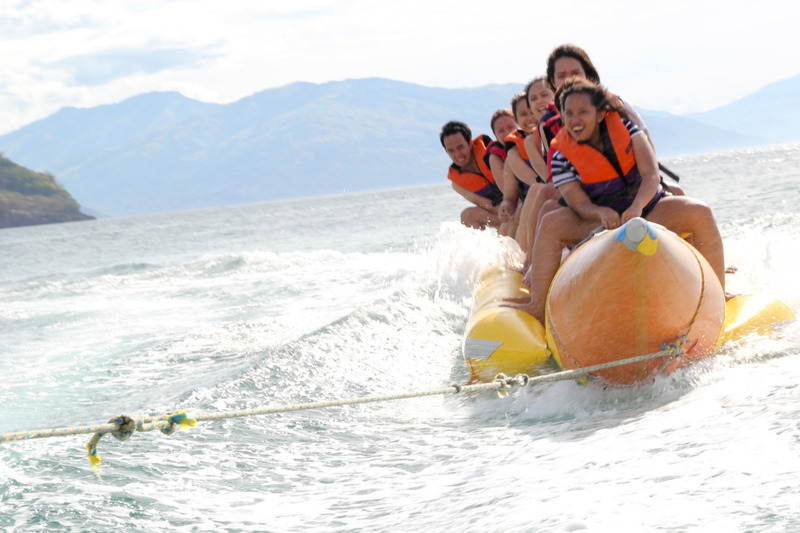 eGetexperience Puerto Galera today and let us help you leap around the world. Philippines is an archipelago therefore it has a myriad of beautiful islands to visit but none can compare to the island province of Palawan. You can skip other beaches on your list but not this one. Skip Palawan and you miss half of your life, and that is not hyperbolic. Palawan is known all over the world as the “Philippines’ Last Frontier” and the island definitely earned the name. Centuries ago, Chinese sea voyagers called the island land of beautiful harbors or in their native tongue was Pa-Lao-Yu and overtime as language did evolve became Palawan. Both the flora and fauna in the island are vast, giving safe refuge for over a hundred endangered species. The biodiversity of Palawan could also be considered as a global phenomenon. Palawan was once more declared as the best island in the world in 2015 by the Conde Nast Traveler’s annual list for the Reader’s Choice Awards where Palawan achieved an overall rating of 85.937. Imagine the African Safari in one province but greener, and wetter. You can take a 360 degree turn and you would see the crystal and turquoise water all around you. Palawan is not just a safe haven for plants and animals but also for the indigenous people that continued to live and thrive there. The Palaw’an tribe in Puerto Princesa is one and they are residing by the Palawan Butterfly Ecological Garden and Tribal Village. They are the legitimate caretakers of the wonderful refuge and the ones who know the island from the back of their hand. These people are the epitome of simplicity and innocence, following the implemented laws of the local government and being the productive and helpful citizens the way everybody should. The Palaw’ans do not mind sharing their homes to tourists and travelers as well, they treat any other people like blood. 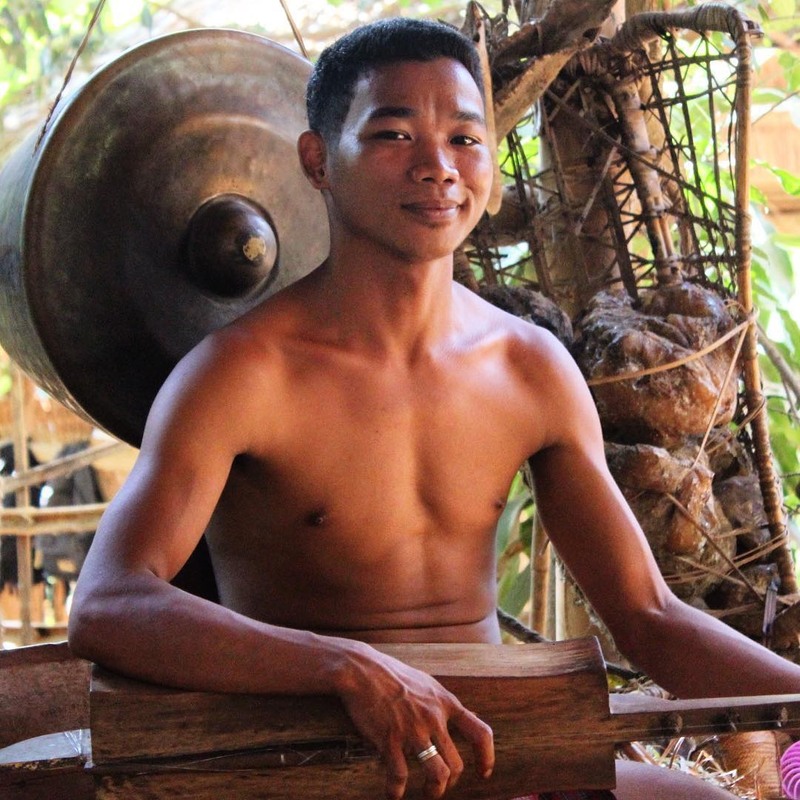 Many tourists feel right at home with the tribe that never fail to give everyone who would visit the island a sense of belonging. When tourist come back to visit Palawan and they always try to come back to the family that welcomed and accepted them to their own homes. Marveling at the sceneries are not enough without shedding some sweat doing fun activities in Palawan. One thrilling activity aside from the usual swimming and diving would be the island hopping not by boats or yachts but by air. Zip-lines connect a small few islands in Palawan and it is open for all adrenaline junkie tourists. 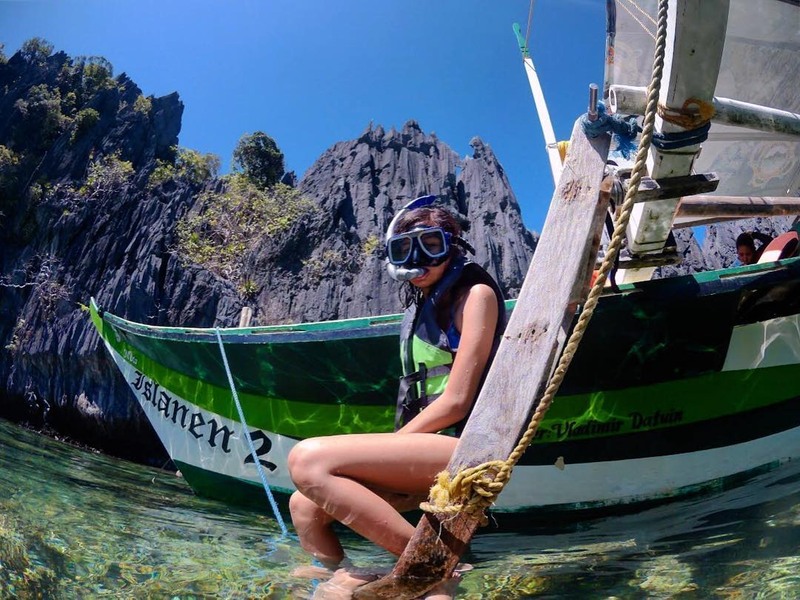 There is more to Palawan when you wander under the its waters. The marine life of the island stuns even foreign professional divers. It only justifies why there are certain laws that were made to protect the reef but nevertheless tourists and friends to fishes can enjoy the exotic marine view. Where there is a beach, there is fun. 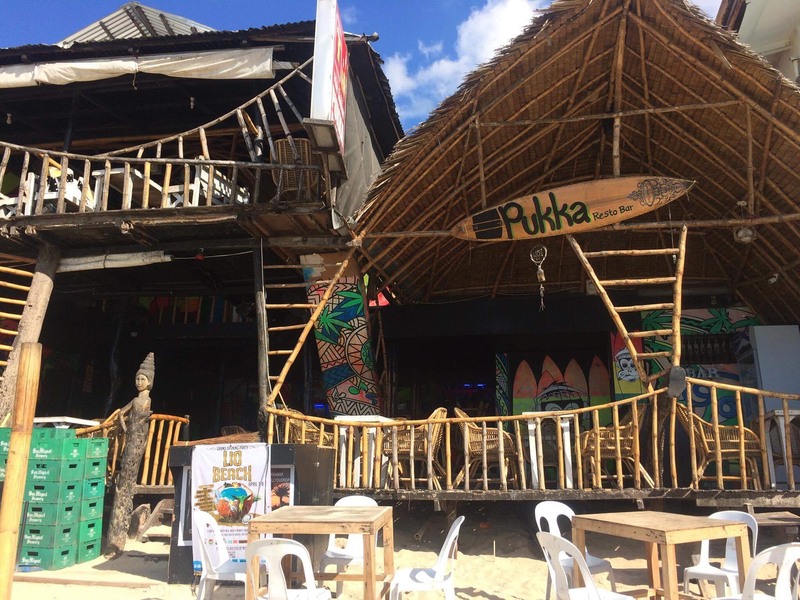 Go visit Pukka Bar in El Nido. This is called the place to make walwal if you are ever in El Nido. One of the oldest place to chill and drink in the island, due to new competition Pukka has responded by expanding its glorious gift and now has two entrances, one on Hama St. and one on the beach. Enjoy the live reggae music and buckets of beers and spirits of your own taste. If you are less of a party and rave person, you can definitely unwind with a bottle of drink in your hand at the Snake Island Bar or also known as the floating bar located in Bacuit Bay. However this beachy bistro can only be visited by boat and during the low tide which is only about 4am to 4pm every day. The tamilok or woodworms or in some parts of the island are called shipworms and the famous crocodile meat. Both have been featured in the Kapuso Mo Jessica Soho television show. 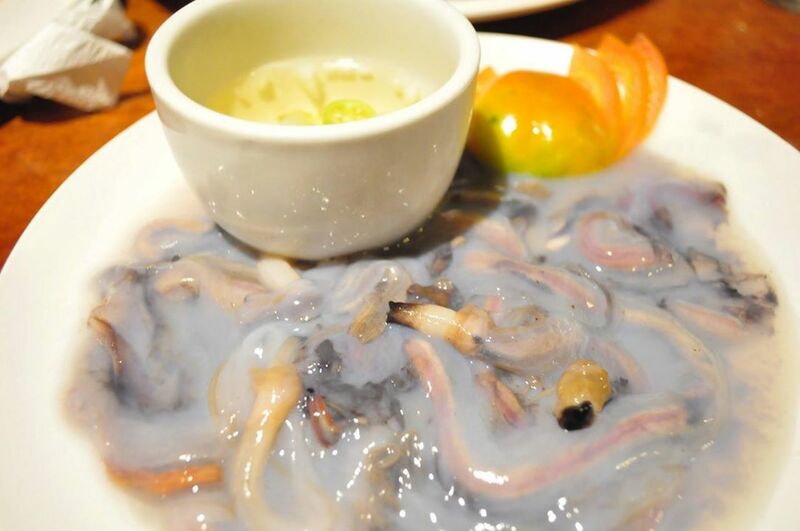 For tourists the cuisine are unbearable also for some Manilenos but truth be told it is rich in protein and vitamins. Only those who has the guts can actually try these two out.